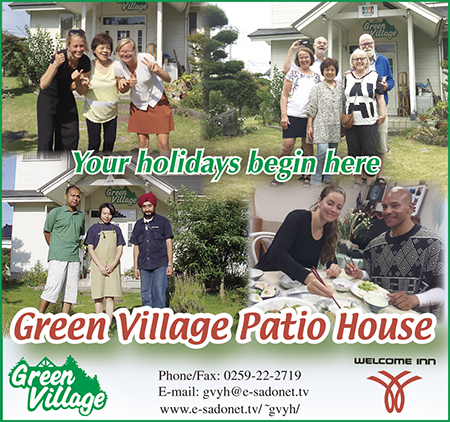 Welcome to Green Village Patio House! We offer comfortable accommodation with a homey atmosphere. Lodging with or w/o meals. Rental bikes are available. Free Internet. Just a 3-min walk from Niibo P.O. bus stop. 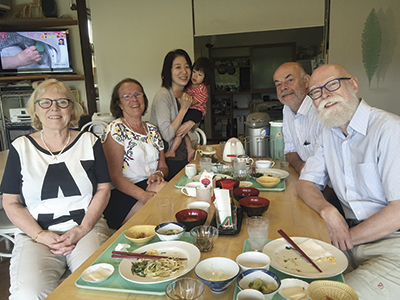 Listed in Lonely Planet and Michelin Green Guide Japan. Free Wi-Fi is offered to for our guests.